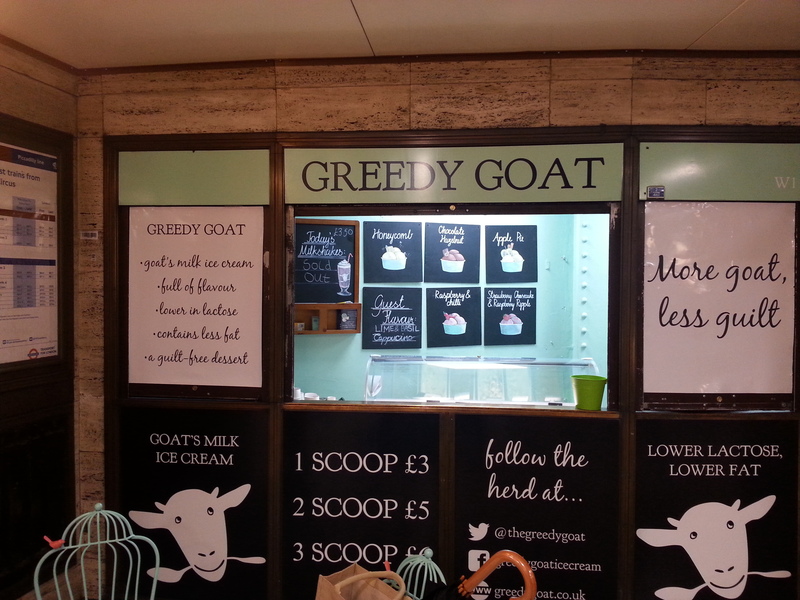 So there I was, about to venture into the scrum by the barriers of Piccadilly Circus Station and make the long packed, sweaty journey home; then I spotted the cute mint green Greedy Goat pop up. 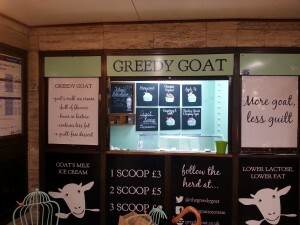 As a goat’s milk drinker for the last 9 years after a stomach bug left me unable to stomach cow’s milk, I was intrigued and delighted to see a unique range of goat’s milk ice creams staring back at me. These are only six of the flavours in a range of more than twenty (including Gin and Tonic!!). I picked a generous two-scoop pot for £5.00 of Strawberry Cheesecake and Chocolate and Hazelnut and sat on the pretty birdcage chair to people watch and indulge. DID I MENTION THEY DO MILKSHAKES?? For £3.50! Sorry for shouting but I don’t know how to describe the joy and the difficultly of finding a milkshake ANYWHERE that 1. Does soya milk. 2. Has it in stock. 3. Has ice cream to add in that has NO cow’s milk. (BTW there is nowhere for that last point I made). I’ve found my milkshake haven. 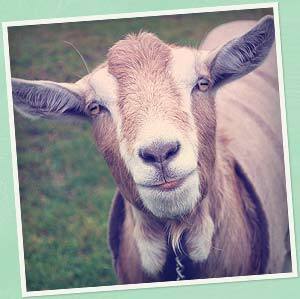 The brand Greedy Goat are a British company, with a factory based in Wimbledon. Made with 100% British goat’s milk and usually based in Borough and Leather Lane Markets. With a 40% rise in alternative milk such as soya, rice, almond and goat’s milk in the last three years, people are now looking for alternative ice cream and desserts. With goat’s milk being easier to digest than cow’s milk due to it having 10% less lactose and less fat content too, it is much better for you than the traditional choice. The ice cream is light, yet bursting with flavour; I found it so hard to just pick two flavours and was tempted to buy a tub to take home! (There is still time lol). They have seasonal flavours and are constantly conjuring up new flavours for us lucky people. The brand were recently spotted in Grazia magazine and featured in Elle UK, they have a loyal following and are currently trying to get into stores. You can see the rest of the flavours on their website and follow them on Twitter and Facebook. 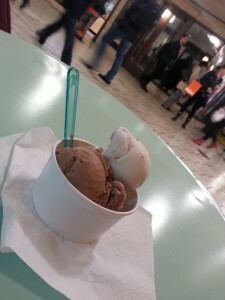 Even if you have never tried goat’s milk, I’d encourage you to try it and try the ice creams for their delicious flavours, the Apple Pie and Basil and Lime alone had me hooked. If you’re passing Piccadilly or either Market and fancy something BOOMBASTIC, sorry I mean something different then go and check them out! You won’t regret it, especially if you have a sweet tooth like me. The pop-up runs Mon-Sun until the end of August.